This post is sponsored by Albertsons and Safeway stores through Kitchen PLAY. Check out their Signature product line at your local Safeway or Albertsons. 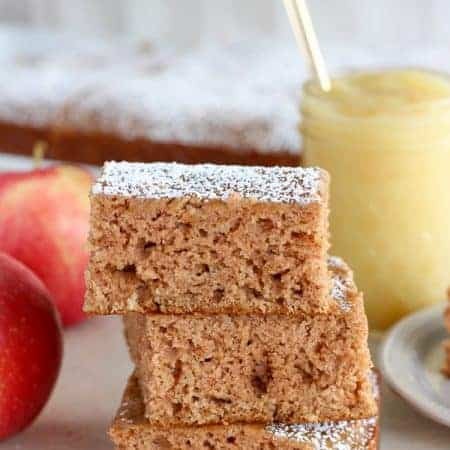 Thank you for supporting the brands that support Celebrating Sweets! 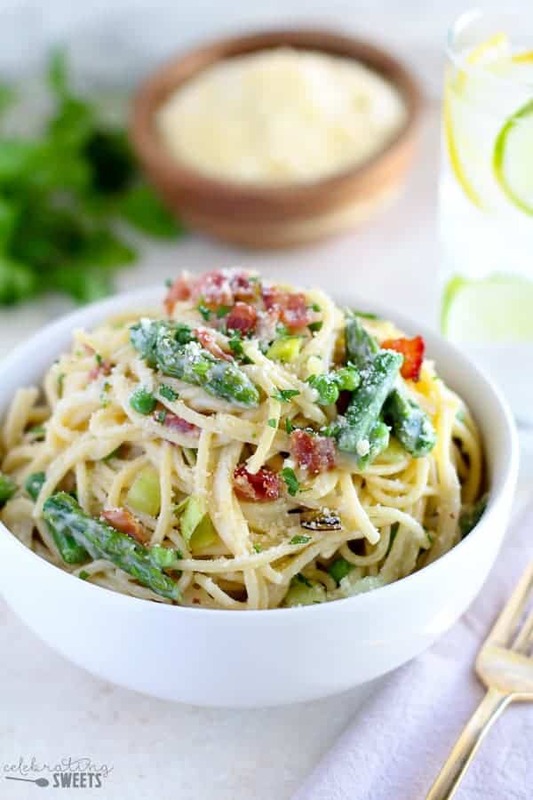 Creamy pasta with bacon, peas, asparagus, and leeks tossed in a light alfredo sauce. 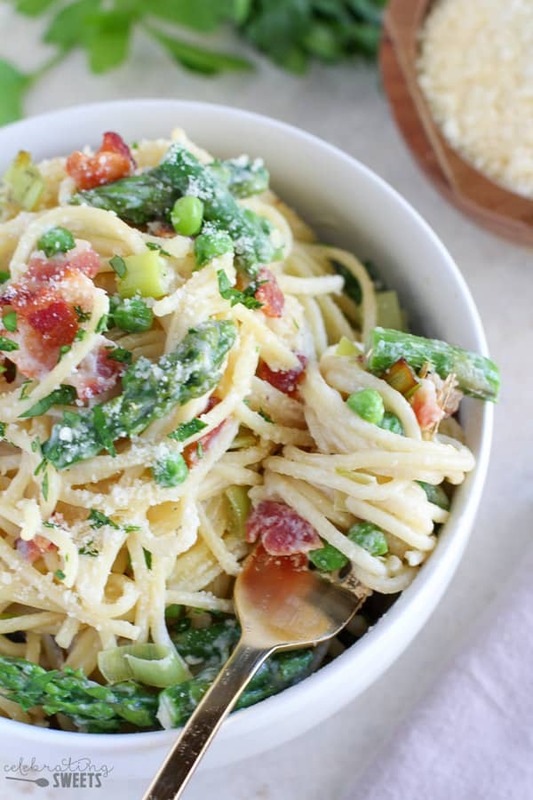 You’ll love this Spring Vegetable and Bacon Alfredo Pasta! VIDEO BELOW. 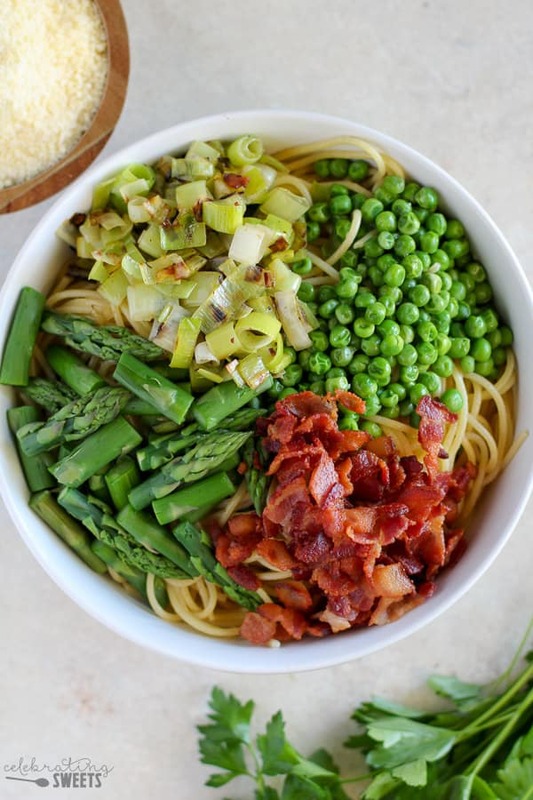 How can you go wrong with bacon, peas, asparagus, leeks and pasta? You can’t! These ingredients complement each other perfectly, as though they were meant to be together. And the sauce? A lightened-up garlic parmesan alfredo sauce coats each and every bite. It’s pure heaven! 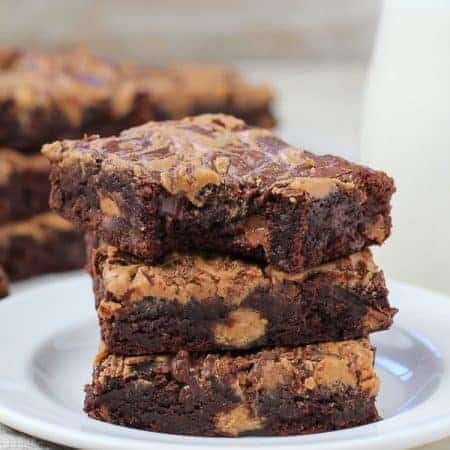 I shopped at my local Safeway for all the ingredients needed for this recipe. I was able to purchase several items from their Signature line which offers exceptional value, quality and a 100% money back guarantee. 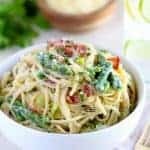 When you’re picking up ingredients at your local Safeway or Albertsons store be sure to look for Signature brand products which includes more than 4,000 items, such as the spaghetti, bacon, peas and sparkling mineral water that I used for this recipe. Signature products are exclusive to the Albertsons Companies family of stores. I buy my Signature products here in Arizona at my local Safeway or Albertsons stores. You can also find them at ACME Markets, Jewel-Osco, Vons, Pavilions, Randalls, Tom Thumb, Shaws, Star Market, United Express, United and Carrs/Safeway. Now it’s time to get cooking! This dish comes together in about 30 minutes. Serve this pasta family-style alongside glasses of Signature SELECT™ Italian Sparkling Mineral Water. 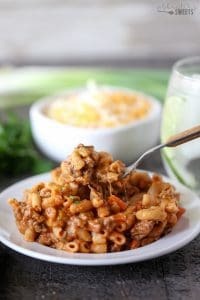 This is sure to be a hearty and delicious meal that everyone will love. Creamy pasta with bacon, peas, asparagus, and leeks tossed in a light alfredo sauce. Begin boiling a large pot of water for the pasta. While you're waiting for the water to boil, continue with the rest of the recipe. In a large saucepan or skillet, saute bacon until cooked through, stirring occasionally. Remove bacon with a slotted spoon and place on a paper towel lined plate to drain. Pour off all but 1 tablespoon of fat in the pan. In the remaining fat, saute leeks until tender, about 5 minutes. Remove leeks from the pan. Add 2 tablespoons olive oil and garlic cloves. Cook, stirring frequently for a couple minutes until the garlic begins to soften. Add flour and stir to combine. Whisk in milk and stock and bring to a simmer, whisking occasionally. Once the mixture starts simmering, it will thicken slightly. Add 1/4 cup parmesan cheese. Keep the mixture warm over low heat, whisking occasionally, while you prepare the pasta. Add spaghetti and a generous pinch of salt to the pot of boiling water. About 3 minutes before the spaghetti is done add the asparagus and peas to the pasta pot. Cook until the vegetables are tender but still holding their bright green color. 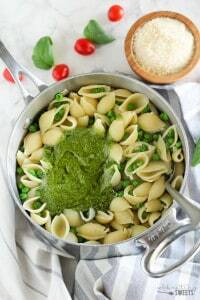 Drain the pasta, peas and asparagus. 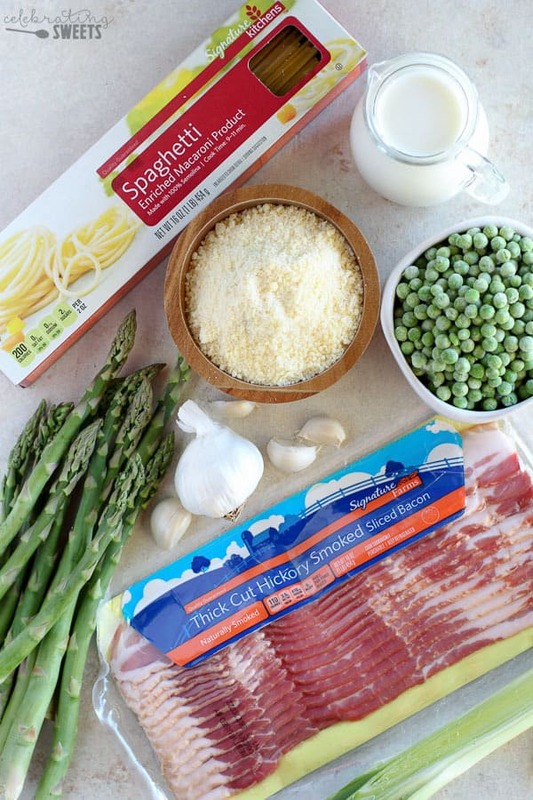 Combine the pasta, peas, asparagus, leeks, bacon and sauce. Toss gently to combine. Add salt, pepper and parmesan cheese to taste. 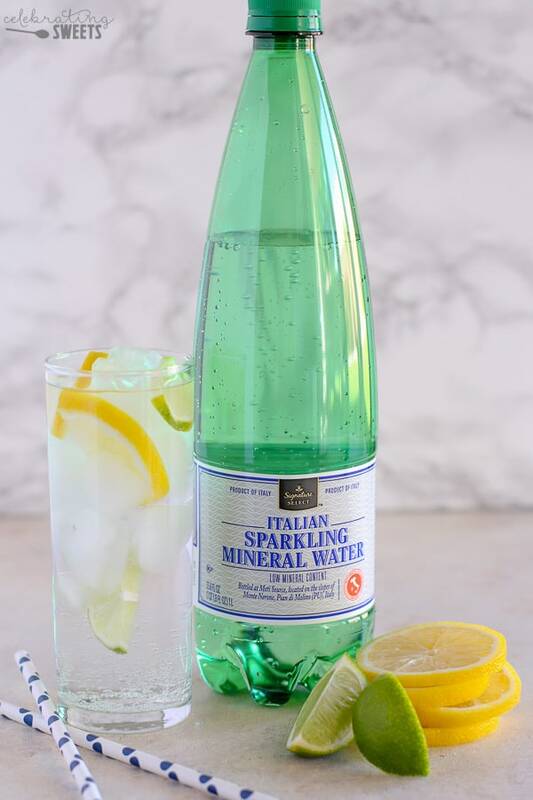 Serve immediately with Signature SELECT Italian Sparkling Mineral Water on the side. 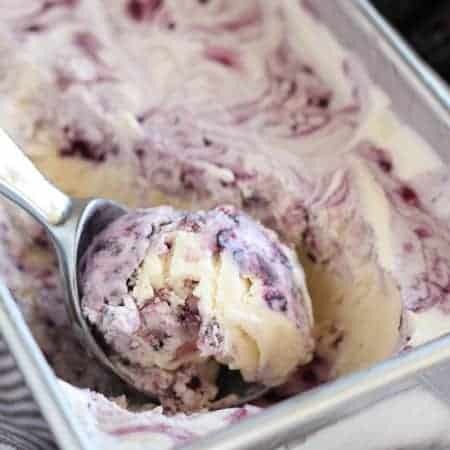 OMG Im totally making this soon!